When I look back at my year…one of the most eventful of my life…the memory that stands out in its own radiant glow is the week or so that I spent working each morning at a makeshift desk on my patio, under the shade of a butter-coloured canopy, looking out into into a garden full of sunshine, flowers and so many butterflies. Just as it’s been a year brimful of marvellous, often quite unexpected, breakthrough events as both artist and writer and in other key aspects of my life, it’s been a year full of butterflies and never more so than in July as I sat there enjoying their display in the flower borders of my garden. Right up until early November, I routinely found myself rescuing these peacock-winged creatures from accidental entrapment inside my house and there seems to have been a running theme of me coaxing them out of windows and releasing them to the sky, a willing collaborator in reacquainting them with their own limitlessness. Thinking back to July, as I find I often do, I remember feeling as though I was in a perpetual glow of gratitude and inspiration as I woke each morning to pull on shorts and hurry through breakfast to take up position in my chair. Fueled by pots of green tea and with headphones playing the kind of music that helps me along with the flow of translating pure inspiration into fully-formed sentences, I could hardly believe this was my “office”; that I had manifested this idyll of a work space and the reason to be working there – doing something that gave me so much joy (writing! ), pacing myself to a deadline that only added to my enjoyment by confirming I had a valid reason to be doing this. In the afternoons, I would pack my computer away and take out my paints, by night I caught up with social media and tweaked my websites. Feeling almost guilty at how much I was enjoying myself, I was suddenly in no doubt that I had created all of this by visualising it as possible and available, part of the picture of an idyllic lifestyle I had chosen for myself and so painted in my mind’s eye. It was around that time that I was writing so many blog posts about freeing ourselves of all limitation, making work playful and flexible and lifting it out of the hard confines of the traditional office – and no wonder as I was living this reality and feeling out for myself how living in your bliss provides you with what feels like a bottomless pit of inspiration to fuel whatever it is you choose to “do” for a living! 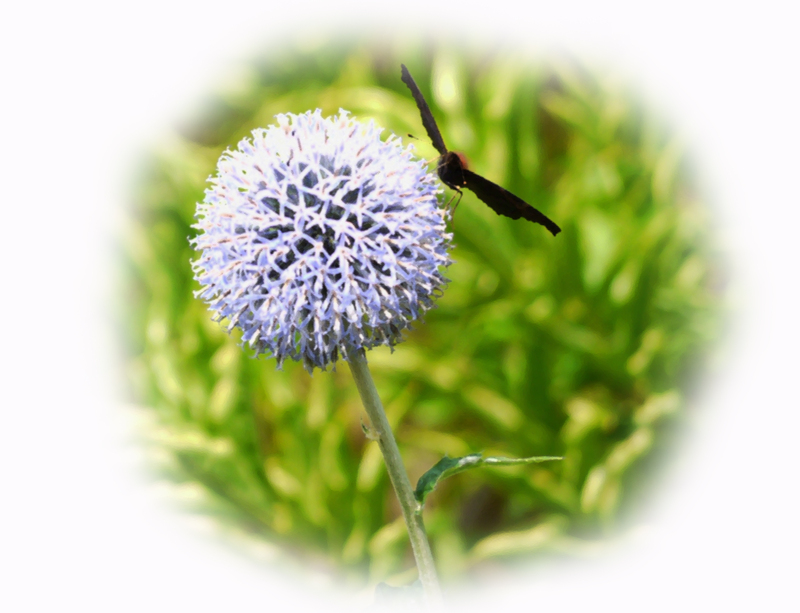 What I hardly appreciated while I was “in” the process was that I was undergoing a transformation…one that combined the process of “letting go” with a sort of “blossoming” or unfurling of metaphorical wings and a feeling of heading out into unlimited spaciousness. Yet, when I look back to that part of my year, it is so clearly what was happening – everything was opening up for me and I was getting my pilots wings, feeling out for myself how all of this was possible to do, how I could make things happen fuelled by enthusiasm and joy and steer life wherever I wanted to across a whole vast sky of possibility. 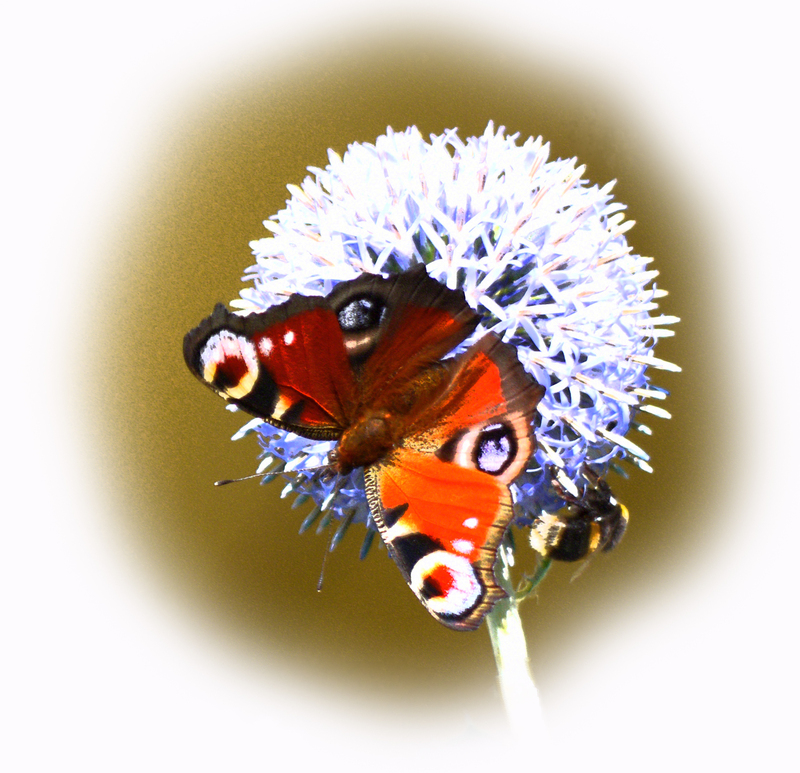 I didn’t really notice the living metaphor that was going on all around me until, several months later, I held the fruit of my labours in my hand and – looking back at that golden time of creativity and all it had come to stand for in my life – saw that I had been my own butterfly in that garden of brightly coloured wings. It was as though the rainbow-coloured bounty of beautiful creatures that my blue thistles and buddlehia seemed to attract into my borders this year had happened just for me, to provide the living wallpaper of an internal and deeply personal process that I was undergoing in my own life. This particular part of the process (and there were wonderful things unfolding anew in other aspects of my life too) had come about because, just at a point when I was achieving so much expansion through writing…instrumental as it had become in enabling me to grasp how everything that had ever happened to me had always been, at some level, perfect strategy for my life-journey…I was contacted out of the blue and invited to share my story in a book! Now, what are the odds of that happening, you might ask…but it did. I mean, literally, within days of reaching an all-new threshold, a veritable vista in my life from where I felt like I was suddenly enjoying the overview of it all for the very first time, I woke to find a message on Twitter inviting me to submit a proposal for an inspiring true story suitable for a book due to be published later in the year. The book was entitled Soulful Relationships and the publishers were a new-consciousness spin on the stale-old publishing formula that had kept me locked in a state of almost fatal hesitation over the long latent (many-years-buried) ambition I had to be published. In fact, the old publishing paradigm had held me so rigid with misgivings for so very long that I had started to wonder if I would ever make that very crucial first step… Suddenly, here was an entirely new publishing paradigm to get me started and it had found ME. The name of the publishers – Älska which, in Swedish, means “to love”. I knew immediately that my “soulful relationship” was the one I have always had with what I refer to in my story (to keep things straightforward…) as “Higher Self”, by which I really mean that eternal aspect of all that I Am and which is currently, if temporarily, housed by the person I have come to know as “me”. We have no evidence that such an infinite version of self even exists, I hear some of you cry, and so how can you write about being in a relationship with it? Well, to be honest, it baffles me more that anyone considers it to be otherwise or could ever regard that aspect of themselves that they might pinpoint as “soul” as a temporary thing that only starts to exist at physical birth and then just as suddenly ceases to “be” at physical death. The implications of this seem far more radical and confoundingly hard to swallow than the alternative. In fact, taken from the perspective of the universe being an energetic field in which the most fundamental aspect of each atom from which it is “constructed” is the non-visible void at its core that defies analysis and alters its behaviour according to what is expected of it – is literally steered by intention (and I refer you to the basics of quantum physics if you are startled by this) – then an inability to “see” something does not preclude its existence. Rather, this indicates to me that this supposedly (though I question that) elusive aspect of self operates from within the realm of energetic alchemy, the very cooking pot of the universe, the zone where thoughts and intention really do make up our reality, starting with imagination and intent. And, it seems, mine made up this reality where I find that unexpected yet rather wonderful things have come to fruition this year of a variety that I could only just about dare to imagine a year ago – and yet the very fact that they have come about is sufficient evidence that I certainly did dare to go there, within the cauldron of my imagination, because I am living within the evidence. If there’s one that thing I’m keen to get across here it’s that, apart from being prepared to put one foot in front of the other when the opportunities we have asked for (in our most daringly creative moments) start present themselves, this is all it takes – IMAGINING! So, here I was, oh so suddenly, sitting in my garden, writing a true-life story to be published in a best-selling series of books called Adventures in Manifesting (how apt) alongside well-known contributors from the world of international key-note speaking and headline titles such as The Secret and the one that had my stomach-flipping each time I paused to digest that I was about to be published in the same book series as her, Marianne Williamson. Yes, I had manifested this. 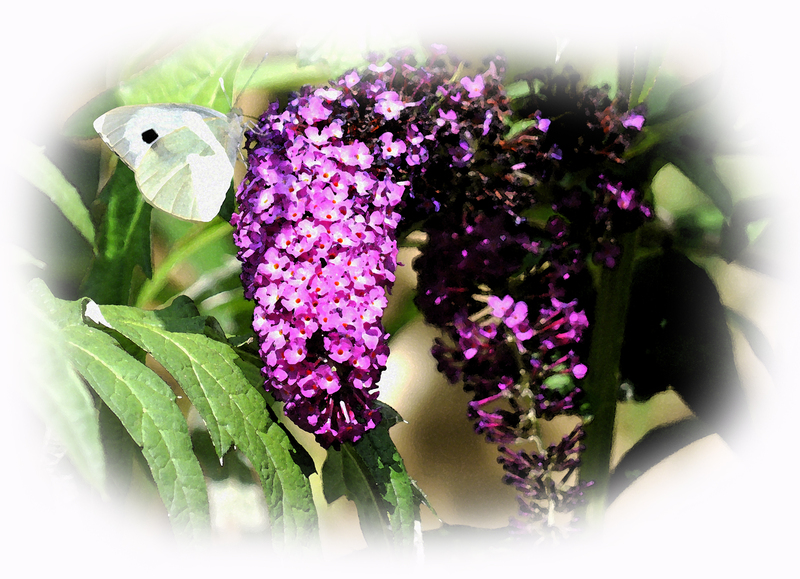 One thing those ever-thronging butterflies in my buddleia did bring to the forefront of my mind as I sat there writing was the concept of imaginal cells, which I had tripped upon about a year before through the work of biologist Bruce Lipton. The simplest way I can explain the significance of this is that a caterpillar’s journey into becoming a butterfly begins with the formation of what are referred to as imaginal cells. These cells are so alien to the caterpillar that, like the first very way-out thoughts of “just maybe…” that dare to enter a mind accustomed to a lifetime of thinking itself limited, its immune system sets about eradicating them as though they are hostile invaders. 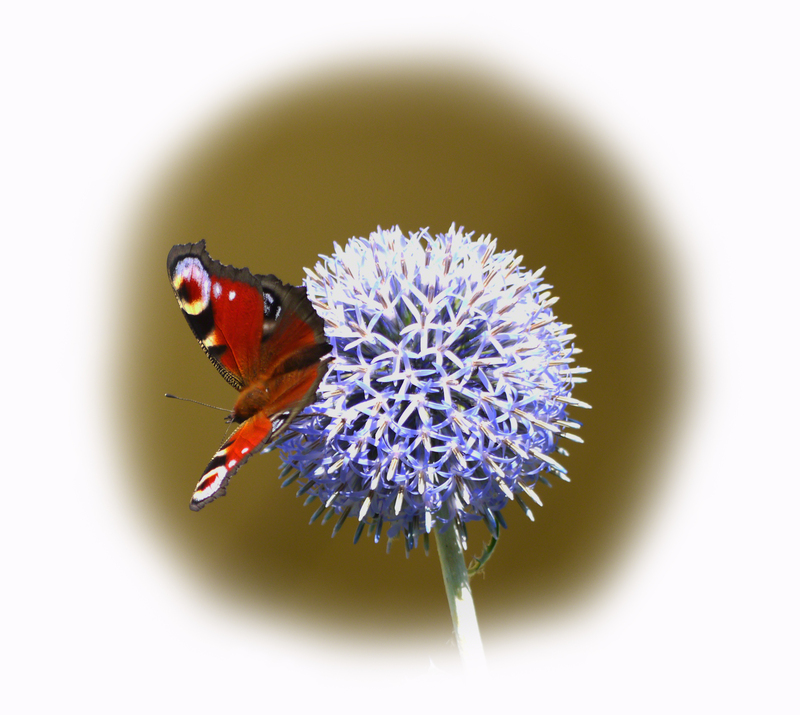 Yet as more and more of these imaginal cells – which contain the unrealised codes or “blue print” of a butterfly within them – manage to survive, they clump together and start to send electronic impulses to one other as though to encourage and so fuel the very idea of their own possibility. Eventually, by joining forces, these cells (which are like forward messengers of an idea of how the caterpillar might transform into something different, perhaps an entirely different kind of creature with a whole new realm of possibility at its disposal..) start to manifest the very potential that they have been harbouring. The caterpillar withdraws into a chrysalis, literally pulling itself within itself, and so its old life starts to soften, to loose structure yet this is no great tragedy or death scene unfolding, however bad it may appear at the time. The imaginal cells use the very building blocks of the caterpillar’s decaying body (its old life) to fuel the creation of the glorious butterfly that emerges to explore a whole new dimension of existence as it takes to the air. Who would believe such an incredible thing could be possible if it wasn’t for the fact that nature demonstrates it, time and time again, in the very flower beds of our gardens! The story that came flowing out of me in that summer garden was the one of my life to date, ostensibly my “old life” and some tough old times at that and yet told without adopting the tone of regret or waxing lyrical on a sad sad story only to tag on a quick direction change and a (phew!) happier ending. Like the butterfly, the “ending” is made up of all the same building blocks as the journey that got me there. If there’s one thing that has become gloriously apparent to me this year it is that everything that happens to us is meant to happen to us at the level of the grand scheme of things; there are simply no wrong turnings. And that grand scheme is not a malicious, challenge-filled endurance game set by some sort of sadistic high-task-master (you know, that chap with a long white beard and a pointy finger) intent upon testing and torturing us to a “better” or “humbler” outlook and a hard-earned season ticket to “heaven”. Arriving where I stand feels like pulling back the curtain to discover that the Wizard of Oz is just us setting up the whole gamut of experience for ourselves…and realising it is all done with such neutrality, such beneficence, like a best-befriended labrador keenly bringing whatever we seem to be asking for and dropping it at our feet. It’s that version of self that sees the whole undistorted picture and simply doesn’t “get” the distorted perspectives we use to colour everything we go through and so just keeps on delivering whatever we ask to experience, to back up whatever subplot is running in the back of our own mind, which is so often distorted by a thick veil of perceived limitations. The one thing we can be sure of is that this aspect of you/me/us always has our very best interests at heart and is ready (at a moments notice) to make it oh-so much easier for us to receive what we really choose for our life experience the moment we are ready to hear that such a thing is possible. I see now how I used the building blocks of old life/old me to fuel one of the biggest leaps of faith forwards that I’d ever dared to make. I shared my story with the world. Holding that book in my hands, as I now am, I realise that the very act of putting my story into words was the moment when my own imaginal cells set to work, joining dots, communicating with each other and fuelling a grand leap into the big big sky. I’ve already had the first thrill of sending pre-orders to those who were quick enough to ask for a signed copy before the launch yet I know (and this feels so good to realise) that whether I distribute a single copy more, it matters not because this book has, for the large part, done what I believe it was meant to do in my life story; through it, I have transitioned into a whole new realm of possibility where all things seem to have opened up, limited only by my own imagination. One very huge glass ceiling has been dismantled and the sky is mine (and, equally, it is yours for the taking). Yet I already know that copies of my story are fluttering off all around the world like their very own butterflies and even as I speak. Only part way through reading my own copy, I already see how the formula behind these books has a certain perfection about it in that the stories are hugely diverse, brought together on a common theme approached from many angles and yet unified in that they are all personal accounts and stories of the heart…possibly some of the most important stories, if not THE most important stories, that this particular group of people would have to share if they were ever to find themselves sat around the same camp fire on a single starry night. Truth be known, we ALL have such a story inside of us about our life-journey to date and there is something so very poignant about hearing such a story shared when it sounds, for all it is held there in black-and-white print in your hands, like something almost too personal to be divulged to all but the most trusted…and yet here are over 15,000 copies of this book in world circulation. Therein lies another hand-holding leap of faith into the unknown that we all took as co-contributors of this book and, having witnessed the joyful, often teary, reactions of fellow authors all around the world as they’ve received their copies, I know I am right in saying that a gigantian amount of love has been infused into it…something that makes for a tangible “vibe” coming out of its pages, so offering something that is uniquely inspirational to the kind of reader that is looking to fuel their own leap of faith into the unknown. One particular theme that I’ve detected running through this collection of stories, in common with mine, is that of having courage enough to effectively “rip life up and start again” and yet there’s not one story shared that doesn’t demonstrate, from real life experience, that following the heart (even when this means starting over in an entirely new direction, confronting worst fears or, a big show-stopper, potentially “letting others down”) doesn’t lead to significantly more joy, fulfilment, wellbeing and balance for all parties in the long run. Those hard times we all go through, when it can feel exactly like everything is breaking down around us, actually provide the building blocks of our metamorphosis, exactly like the case of the caterpillar undergoing transformation. At times, it can even feel like we are in conflict with ourselves, resisting our own rebirth out of the fear of facing up to the unknown. And yes, it’s the caterpillar’s job to resist the butterfly as this only assists the butterfly in becoming stronger and more inevitable as the process continues. Another common thread that is evident in so many of these stories is how the universe seems to conspire to help those who have set off on such a (supposedly) radical and obstacle-strewn path once they have their intent set upon making it happen and there is no vehicle as potent as a “true life” story when it comes to getting this kind of message across. One of the stories I resonated with the most is written by Leanne Watson who made a whole series of leaps of faith that took her from what felt like a life-sentence sitting at a computer in a corporate job, which ostensibly provided her with everything she was meant to want in life (security, great lifestyle, lovely home), to an entirely new life inspiring and empowering others through a career in the theatre and raising money for projects to help vulnerable children in India and Cambodia. To quote Leanne “One thing I noticed while on my journey was that, by following my dreams, I inspired people around me to start following theirs. I shared everything that I learned along the way but allowed my friends to take what resonated with them and find their own path”. This describes so succinctly my own approach to sharing my experiences and most aptly describes the core approach of the Adventures in Manifesting books – the take what resonates and leave the rest approach which offers up a feast of inspiration without forcing anything or drumming a particular formula. It is my experience that there are many roads to enlightenment and none are “right” or “wrong” yet the more inspiration there is on offer along the way, the more direct our own particular journey can become since we more quickly identify our own potential and what makes our heart sing…and that’s what it is all about. Today sees the official launch of Soulful Relationships and, even before that has happened, the 33 contributors of similarly life-altering stories have been finding that the demand for the books is high and that the feedback that is already pouring in is heartwarming. On that theme, I’ve just received my own first piece of feedback from someone who told me that, although she had seen how her own life-story could be used to inspire others, she hadn’t realised the importance of “letting it go” out of her own energy field (again, I’m getting butterflies in my minds-eye as I read what she said to me). This “releasing” or “letting go” process is something I write about in my story and, whilst I felt the great significance of this as I concluded my chapter, I hardly realised the full implication of my own words until I had sent the finished story to the publishers and considered it “done”. The actual closure, I suppose (being the word that people tend to use) came for me some weeks later when I started to feel the difference in my own body from all that I had achieved by wrapping up my story and sending it out there, into the world, to be (hopefully) of use and inspiration to others. There’s really no other way of putting it, my cells actually felt lighter. Having used the writing process to “see” the bigger picture of my life and then send it out there to where others may “happen” to trip upon it (and I know they will) if its content holds something of a key for part of their journey, I had finally let go of some old heaviness that, until recently, was still harboured in my energy-body or, rather, I transmuted it into something new. I discovered I had achieved the perfect balance between owning my story, honouring and feeling grateful for it, preserving it to be of use to others and yet freeing myself of its old density, up-cycling that old material to craft a brand-new set of wings! 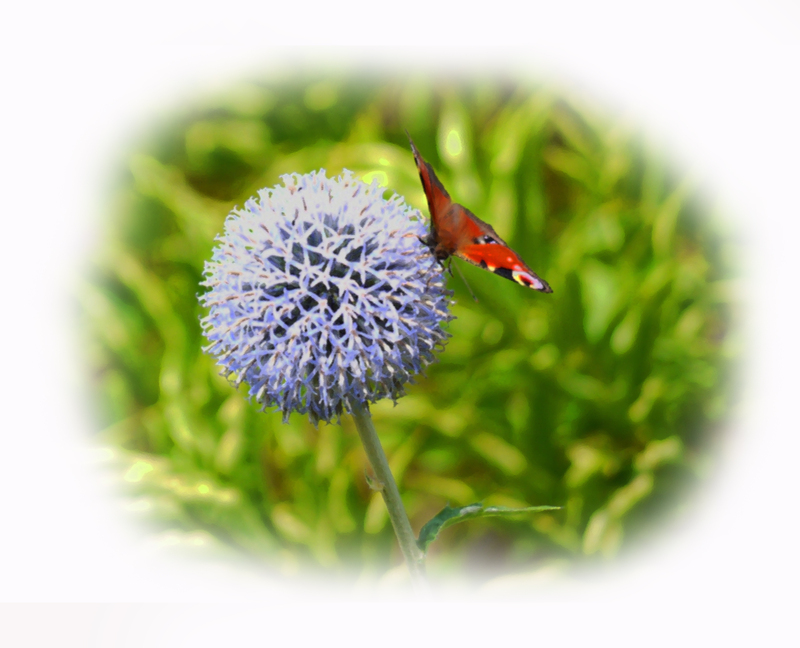 If we see ourselves as imaginal discs working to build the butterfly of a better world, we will understand that we are launching a new ‘genome’ of values and practices to replace that of the current unsustainable system. 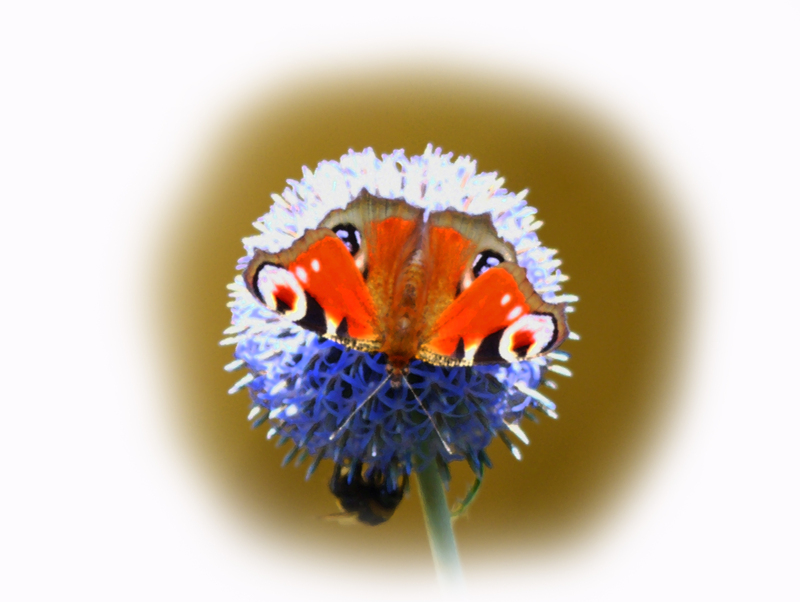 We will also see how important it is to link with each other in the effort, to recognise how many different kinds of imaginal cells it will take to build a butterfly with all its capabilities and colors. Just like those imaginal cells inside the caterpillar, and however isolated we may have felt just a few short months go, it feels distinctly like we are starting to send our own “electronic” impulses out there – far and wide – to encourage and inspire others with their own encoded potential newly rising to the surface, be it through books, blogs or simply the example of our experience shared with and witnessed by those around us. As realisation of the unlimited potential that we all hold within our blueprint starts to ripple out to more and more people, bringing all that is possible to the surface of their consciousness, we must surely conclude that the whole of humanity is due for one very momentous butterfly moment…a grand metamophosis…some time very soon! I will leave you to enjoy what is probably the best short video out there on the subject of imaginal cells presented by the very inspirational Deepak Chopra. 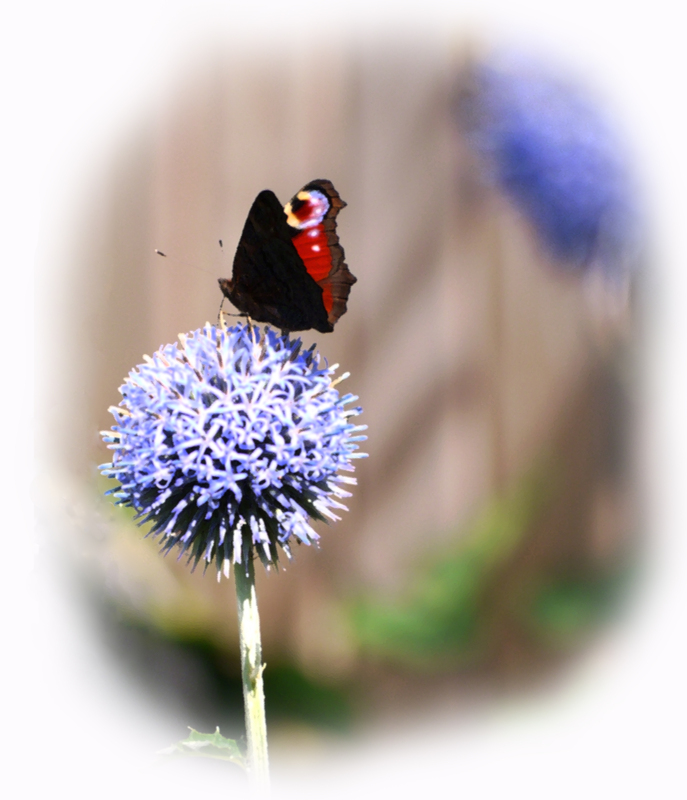 All photography is by me (see more at Helen White Photography) and, yes, all butterflies shown are the ones spotted in my garden during the writing of my chapter in the book Soulful Relationships. This entry was posted in Authorship, Books, Consciousness & evolution, Culture, Health & wellbeing, Life choices, Lifestyle, Personal Development, Social media and tagged Adventures in Manifesting, Bruce Lipton, butterfies, Deepak Chopra, Elisabet Sahtouris, evolution, imaginal cells, law of attraction, Leanne Watson, limitlessness, Marianne Williamson, Soulful Relationships, telling your story. Bookmark the permalink. Fantastic Helen and very interesting about these imaginal cells, what an exciting thought! I for one have felt more and more excited as this year has gone on, not that anything dramatic has happened to me but just a feeling of happiness and anticipation that seems to be affecting everyone around me too! I think 2014 is going to be even more magical! Thank you. Thank you in return. 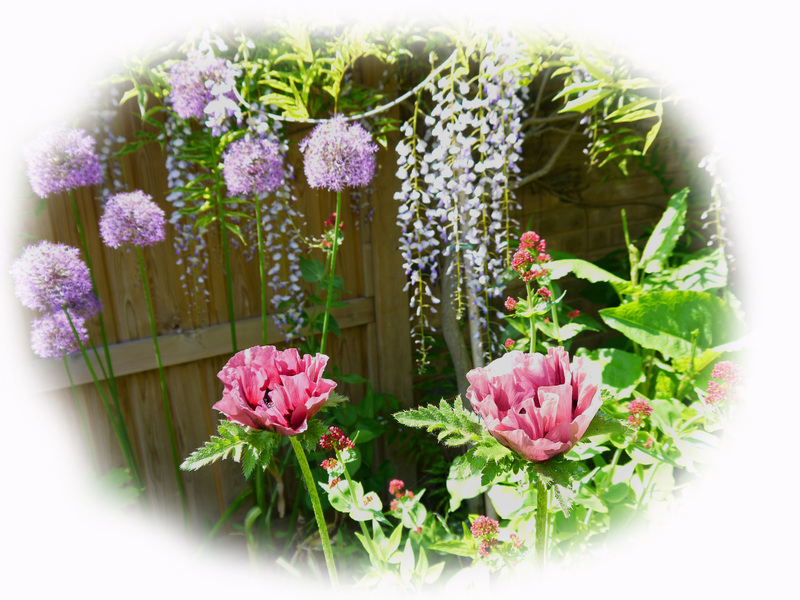 Glad to discover your blog! 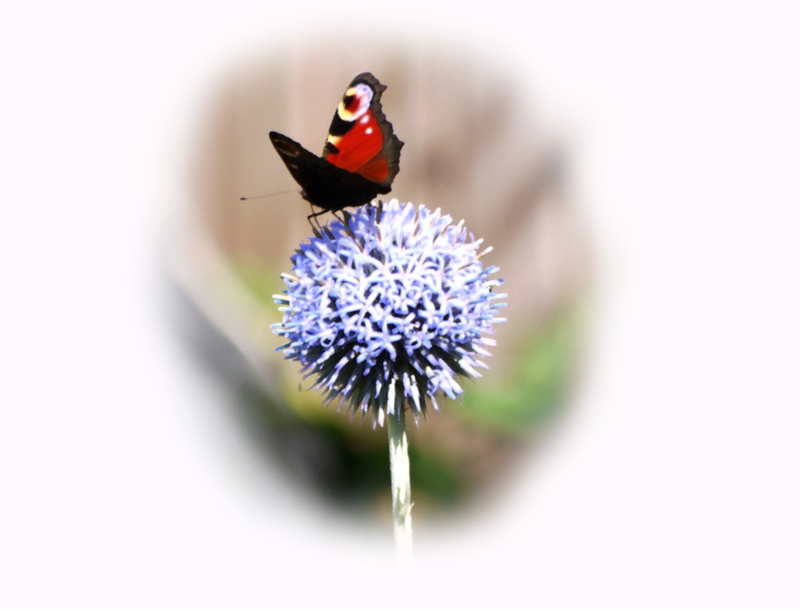 Butterflies have become important to me as a symbol in recent years for a number of reasons and I loved this description of your year and the way it was symbolised by the many butterflies appearing in your garden. Your working year sounds idyllic and I’m so happy you were able to create this for yourself. Thank you Andrea, deeply appreciated and I hope to hear of so many others creating their ideal circumstances for themselves, going forwards, as we all have that innate capacity. Have a wonderful Christmas and new year and here’s to a creative 2014!